I love simple, natural recipes! This is a guest post by Allison from Petit Elefant. 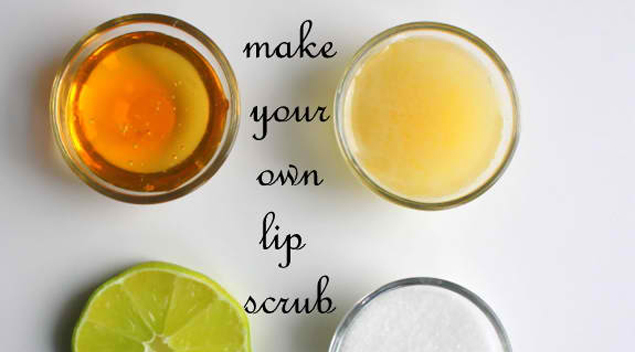 She shares her recipe for a homemade lip scrub that uses just 3 ingredients. One ingredient serves as an exfoliant, another rejuvenates the skin and the third acts as an antibacterial cleanser. Allison explains how to mix the simple recipe and apply the lip scrub. To see her recipe, click on the Make Your Own Lip Scrub link below.